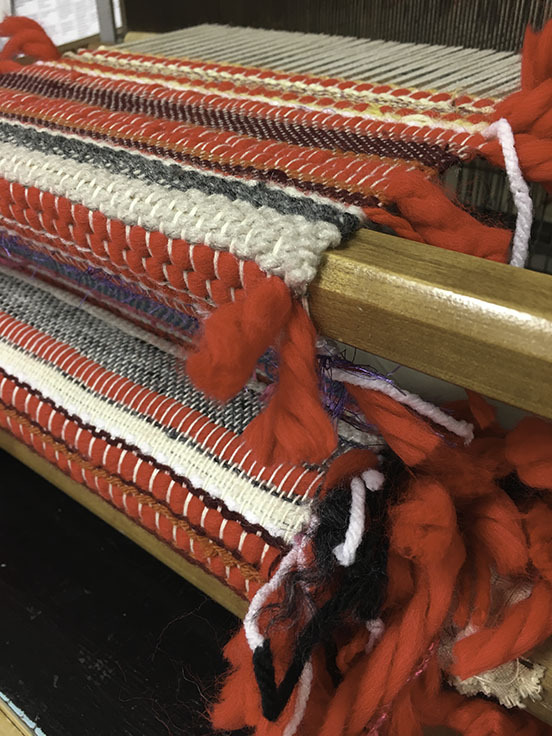 Every time a bell rings...INTERRUPTION LOG is a weaving piece I began on August 11th, the first day of the 2016-17 school year. 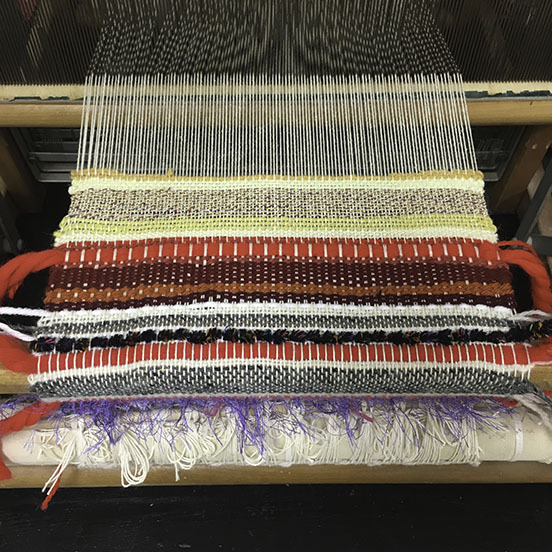 The weaving highlights my interest in the everyday. Each day as a teacher, I hear many bells, each which signifies a specific meaning of starting or ending class or going to lunch. Often times, the bells become part of the atmosphere and become meaningless. The same bell sound is used over the intercom as an interruption for a student to be dismissed or visit the office, counselor, or nurse. In our daily lives, we strive for routine, organization, and predictability, even with a complex schedule. However, we constantly are confronted with unpredictable events or interruptions, which can be equally as mundane or chaotic. I devised a color scheme for each day, with each block represented by a different color. Each time a bell rings, I weave a row. Each time there is an interruption, I weave a thick red yarn. 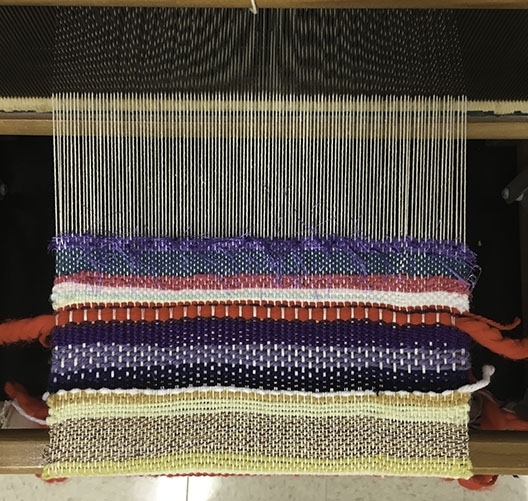 I completed the weaving for first quarter primarily on my own, with some student help. 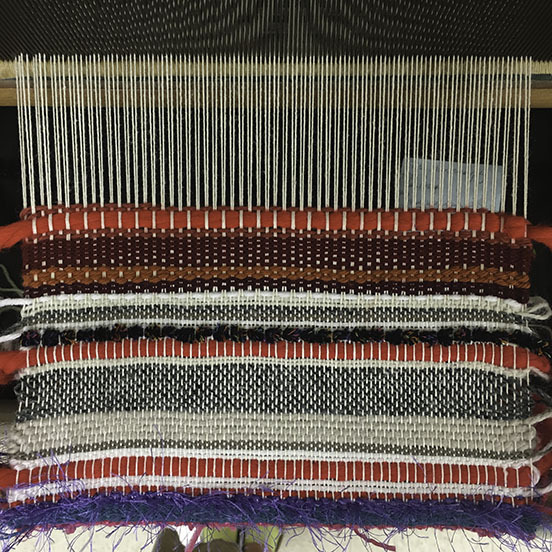 The goal is to involve my students in the weaving process for the remainder of the school year.